If you’ve been injured because of someone else’s actions, you may be entitled to personal injury compensation. Due to restrictions in Queensland (QLD) and Western Australia (WA) we are prohibited from showing people in those states certain information regarding our legal services. 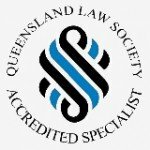 If you are located in QLD or WA please click here for information on personal injury law. At Shine Lawyers, we are personal injury experts who understand the law, while also understanding not everyone else does. We know that dealing with insurance companies and legal mumbo jumbo is the last thing you want to do when you’ve been injured. That’s where we shine. We’ll do the leg work so you can focus on getting on with your life. If you have been injured in a car crash, truck, motorbike, cycling, quad bike, or any other motor vehicle accident, then you may be able to make a compensation claim. Our expert car accident lawyers will handle everything and help you get the compensation you need. If you've suffered an injury or accident at work, you may be able to make a claim for compensation. Shine Lawyers are experts when it comes to workers compensation law and can advise you on your rights and get you the maximum compensation you are entitled to. If you suffer from Mesothelioma, Asbestosis, or any other asbestos related disease, then you may be able to claim compensation for your suffering. Shine Lawyers are asbestos compensation experts and can help you and your family during this difficult time. If you have been wronged at the hands of a medical practitioner or facility, you may have a medical malpractice claim for compensation. Shine Lawyers are medical negligence experts and can help advise you on your rights under law. Our service extends to include Cerebral Palsy compensation claims. If you have had an accident, dog bite or slip, trip or fall in a public place - then you may have a claim for public liability compensation. Shine Lawyers are public liability experts who can help you when you need it most. If a faulty product or device has left you injured, then you may have a claim for compensation. Shine Lawyers has extensive experience when it comes to product liability law and can help you in your time of need. If you've suffered a serious injury, whether a spinal injury, back injury, head injury, brain injury, neck injury, burn injury or any other type of injury - Shine Lawyers can help you start a claim for compensation. If you are a survivor of sexual abuse, sexual harassment, or any other form of abuse, Shine Lawyers are here to help and can advise you on your rights to compensation. You might be asking ‘how will I afford this?’ At Shine Lawyers, we work on a No Win No Fee* basis so you will only pay our legal fees if you win your case at the end of the claim. There’s no catch and there will be no hidden costs. Your legal costs at the end will depend on the amount of work required to resolve your claim. We’ll always be open and upfront with you and we’ll never stuff you around. The legal process can be hard to wrap your head around at first. The below video provides a simple, step-by-step guide to the process around making a claim for compensation with Shine. Click here for more information on the steps behind making a personal injury claim. Personal injury compensation is calculated differently depending on your claim type and your individual circumstances. In most cases, a monetary value is placed on the gap between your predicted life path before the injury, and your actual life path since the injury. Shine Lawyers can help you every step of the way and get you the compensation you need following your injury. When it comes to personal injury claims, Shine lawyers helps most clients on a no-win-no-fee* basis, so you don't have to worry about paying our legal fees until we win your case at the end. Every situation is different, but with Shine Lawyers your legal costs will always depend on the amount of work required to resolve your claim. We want to get you back on your feet as quickly as possible, so we'll work hard to finalise your case swiftly and get you the compensation you need. An average claim may take around 12 to 18 months to resolve, however, a more complex matter could take longer. We'll be honest with you right from the start about the likely time and fees involved, as well as what the compensation might be. This way, you can make an informed decision on whether to proceed with your claim. Our professional fees cover our time and the costs of resolving your claim, including external expenses like specialist reports and court fees. Shine Lawyers are expert personal injury lawyers that can help you get the compensation you need. Click the below for more information about the Shine Lawyers service and how we can help you. 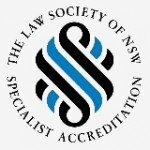 Click to visit the full list of Shine Lawyers services.